I’ve recently been working with London-based Futurity Media – a content marketing agency specialising in IT and telecoms technologies. One of their main clients is Orange Business and I’ve been working with them by designing and illustrating infographics that they have produced the content for. 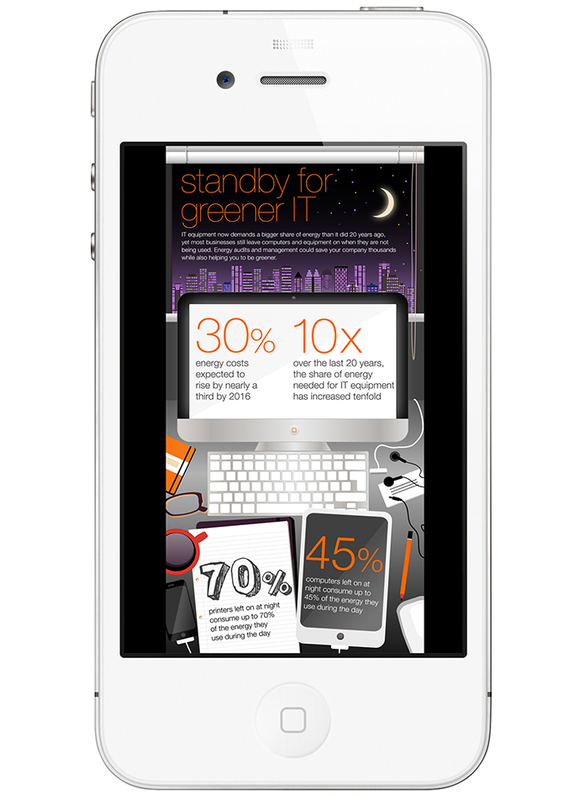 This infographic is designed to illustrate IT equipment energy waste in the workplace and to promote Orange Business IT energy policies. 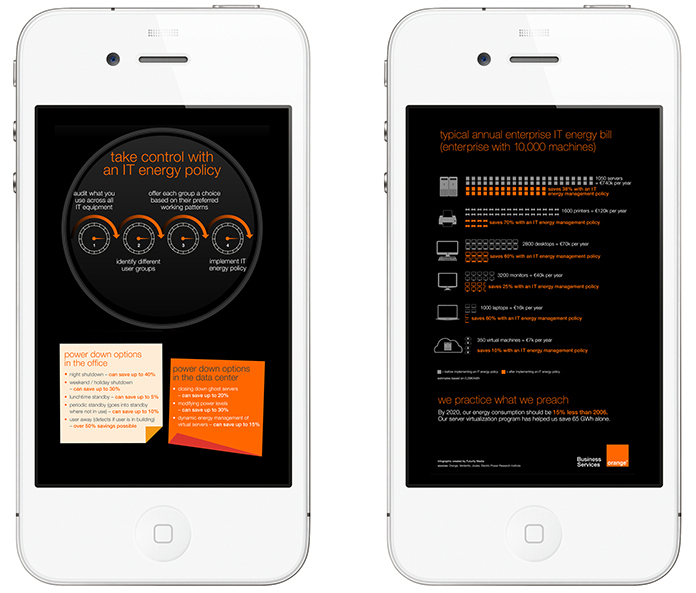 The finished infographic appears on the Orange Business website in English and was also translated into French. It’s also used as slides internally within Orange.